Sofia 4-Piece Bedding Set Just $22.39! Down From $60! PLUS FREE Shipping! You are here: Home / Great Deals / Amazon Deals / Sofia 4-Piece Bedding Set Just $22.39! Down From $60! PLUS FREE Shipping! Exclusive for Prime Members only! 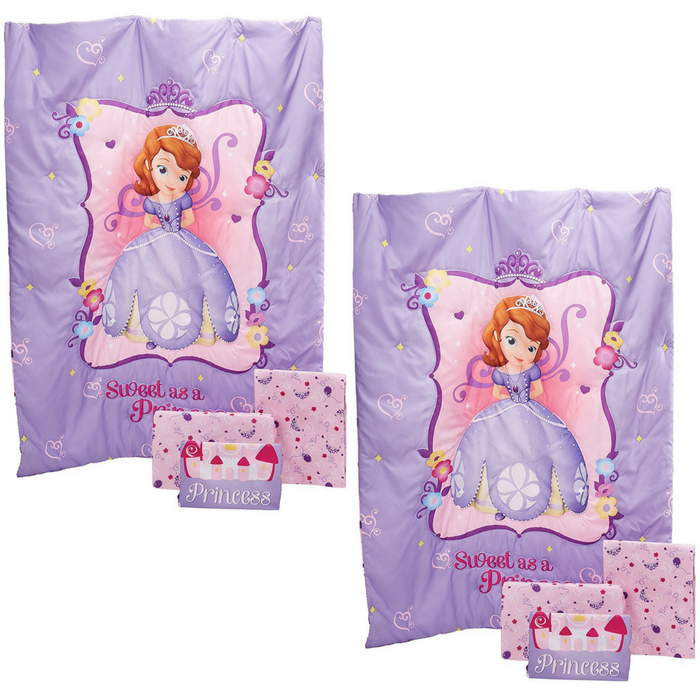 Amazon is offering this Sofia 4-Piece Bedding Set for just $22.39 down from $59.99 PLUS FREE shipping! Sofia is ‘Sweet as a Princess’ with her tiara, jewels, flowers, hearts and castle which are a few of her favorite things. This 4-pc Toddler Bed Set Includes – a quilted bedspread, fitted bottom sheet, flat top sheet and standard-size pillowcase. Featured in fanciful shades of lavender, pink, raspberry, white, purple with a pop of yellow and aqua. Both sheets features a smaller all-over mini print of her royal tiara, jewels, flowers and hearts that complement this whimsical collection!